In order to help developers make great games and build their businesses, we offer Google Play Games Services (GPGS). GPGS provides powerful tools to build, analyze and retain your audience and optimize your game. After listening to developer feedback and examining usage, we have decided to remove some of the features so we can focus on making our offering more useful. In December, we announced the end of support for the creation of new iOS accounts given the low usage of GPGS on iOS. Additionally, our latest Native SDK release (2.3) will no longer support integration with iOS and going forward we will not be supporting or updating the iOS SDK. We've also examined the features that GPGS offers. 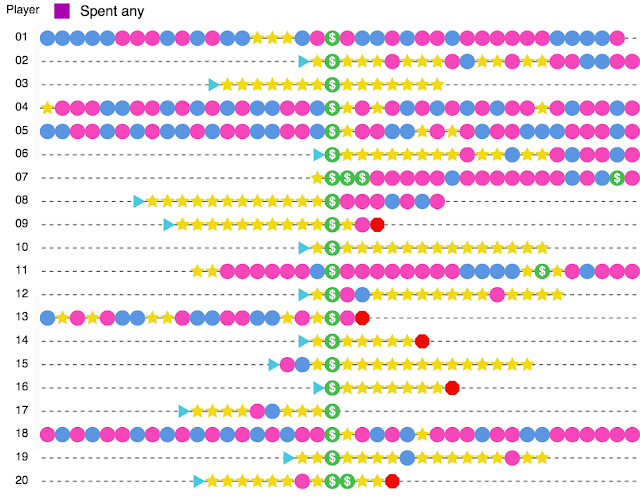 While developers use engagement and reporting tools extensively, there is lower usage for Gifts, Requests, and Quests. We therefore plan to stop supporting Gifts, Requests, and Quests. In order to help developers that do use these features plan for their removal, we will leave them open for 12 months, deactivating them by 31st March 2018. We'll be continuing support for other features such as Sign-in, Achievements, Leaderboards and Multiplayer. Play games services remains an important part of the tools we provide developers, and we're working hard on future GPGS updates. We continue to be strongly committed to providing high quality services for Games, including new tools such as official Firebase support for Unity and C++ developers, and integration with Firebase Analytics. These changes allow us to focus our efforts on the services developers value most to build high quality, engaging games. Currently, there is no support for new players to create a Play Games account on iOS. Additionally, the Google+ integration has been removed from iOS. As a result "social" APIs will return result codes indicating success, but return empty lists. This includes the "standard" UIs for leaderboards and multiplayer invitations. Announced last year, Games is decoupled from Google+ during this transition. As a result the public APIs for getting connected players via circles stopped working, but the standard UIs for multiplayer invitations and social leaderboards continued to work. Starting from February 2017, the standard UIs will also not display the Social graph results as Google+ data becomes inaccessible. This will affect multiplayer games, social leaderboards, and gifts API on Android. The effect will be that these APIs will return successfully, but with an empty list of players. 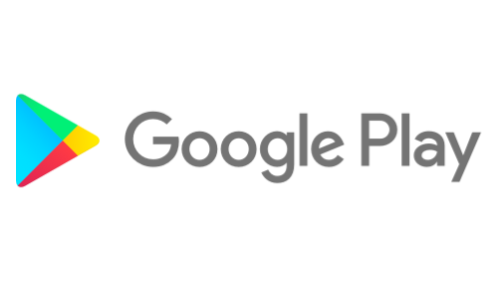 All methods in the Requests package. We realize this is a large change, but moving forward Play Game Services are much better aligned with the rest of the Mobile platform from Google and will lead to better developer experience for Android game developers. 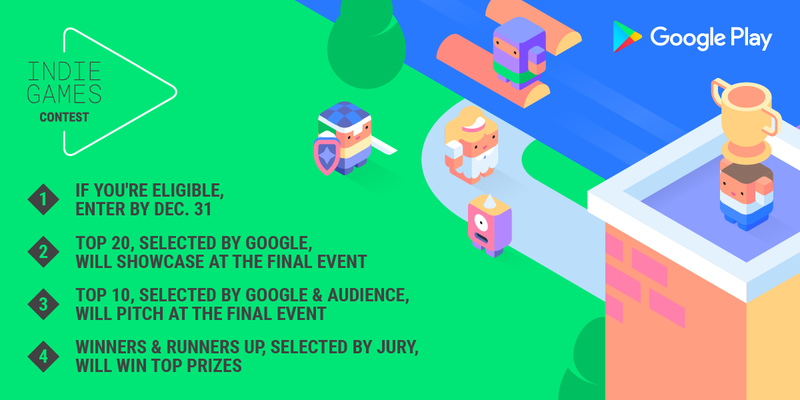 Last Saturday, we hosted the first Google Play Indie Games Festival in North America, where we showcased 30 amazing games that celebrate the passion, innovation, and art of indies. 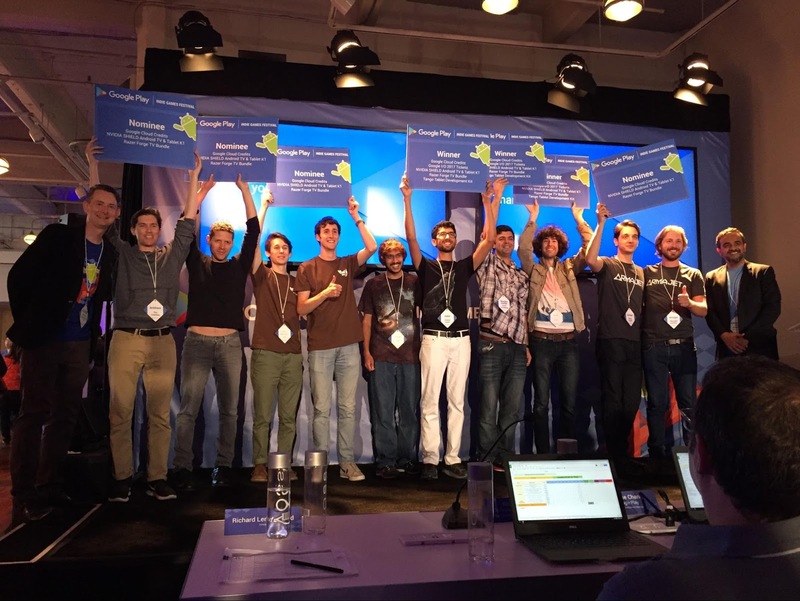 After a competitive round of voting from fans and on-stage presentations to a jury of industry experts, we recognized seven finalists nominees and three winners. Bit Bit Blocks is a cute and action-packed competitive puzzle game. Play with your friends on a single screen, or challenge yourself in single player mode. Head-to-head puzzle play anytime, anywhere. Numbo Jumbo is a casual mobile puzzle number game for iOS and Android. Players group numbers that add together: for example, [3, 5, 8] works because 3+5=8. ORBIT puts a gravity simulator at the heart of a puzzle game. Launch planets with a flick of your finger, and try to get them into orbit around black holes. ORBIT also features a sandbox where you can create your own universes, control time, and paint with gravity. Antihero is a "fast-paced strategy game with an (Oliver) Twist." Run a thieves' guild in a gas-lit, corrupt city. Recruit urchins, hire thugs, steal everything – and bribe, blackmail, and assassinate your opposition. Single-player and cross-platform multiplayer for desktops, tablets, and phones. Armajet is a free-to-play multiplayer shooter that pits teams of players against each other in fast-paced jetpack combat. Armajet is a best in class mobile game designed for spectator-friendly competitive gaming for tablets and smartphones. Players compete in a modern arena shooter that’s easy to learn, but hard to master. Norman's Night In is a 2D puzzle-platformer that tells the tale of Norman and his fateful fall into the world of cave. While test driving the latest model 3c Bowling Ball, Norman finds himself lost with nothing but his loaned bball and a weird feeling that somehow he was meant to be there. Parallyzed is an atmospheric adventure platformer with unique gameplay, set in a dark and enchanting dreamscape. You play twin sisters who have been cast into separate dimensions. Red and Blue have different attributes and talents, are deeply connected, and have the ability to swap bodies at any time. 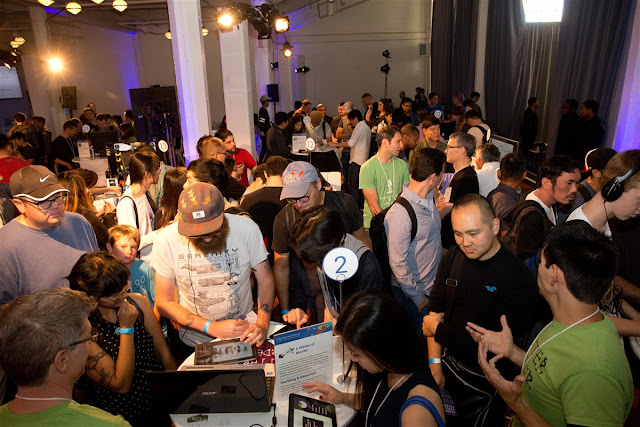 Finalists nominees and winners also received a range of prizes, including Google I/O 2017 tickets, a Tango Development kit, Google Cloud credits, an NVIDIA Android TV & K1 tablet, and a Razer Forge TV bundle. We’re continuing our effort to help indie game developers thrive by highlighting innovative and fun games for fans around the world. Today, we are announcing the Indie Games Contest for developers based in European countries (specific list of countries coming soon!). This is a great opportunity for indie games developers to win prizes that will help you showcase your art to industry experts and grow your business and your community of players worldwide. Make sure you don’t miss out on hearing the details by signing up here for updates. As we shared at the festival, it’s rewarding to see how Google Play has evolved over the years. We’re now reaching over 1 billion users every month and there’s literally something for everyone. From virtual reality to family indie games, developers like you continue to inspire, provoke, and innovate through beautiful, artistic games. Today, at our annual Developer Day at the Game Developers Conference, we announced new platform and ads tools for developers, of all sizes reach, to reach this global audience and accelerate the growth of their games business. Check out below the full range of features that will help game developers build their apps, grow their user base, and earn more revenue. There is much common ground between freemium apps and games businesses when it comes to achieving success. Users are, however, more used to paying for games than apps, stemming from the history of traditional gaming consoles. Moreover, mobile games are also able to easily offer ‘virtual goods’ across a range of price points to suit every pocket. This means that game developers have had plenty of opportunity to learn about how to improve onboarding, conversion, and ultimately the user Lifetime Value (LTV). So what can app developers learn from game developers? Here are some best practice tips and insights from successful game developers that can be applied to many apps, today. 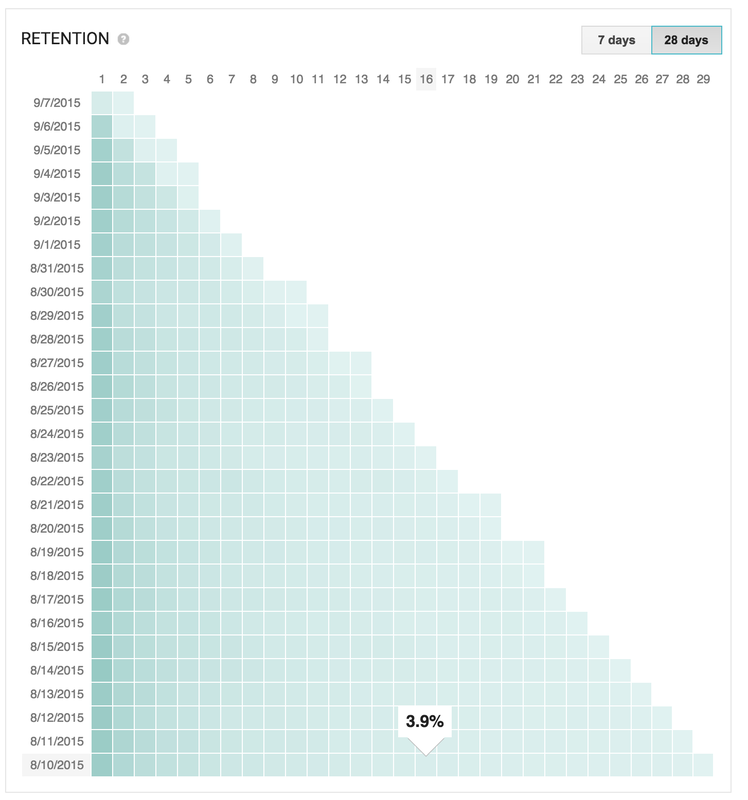 Retention is king, and retention drives conversion. For games developers, retention is the key measure of game quality and whether it appeals to players. Most game developers will “soft launch” to beta testing communities or test markets. During this phase, the game is tweaked to optimize retention by looking into specific areas, such as tutorial completion, level difficulty and conversion. Developers can then track retention using the Cohorts reports in Google Analytics. Once retention is satisfactory, the developer can go to full launch and start investing in user acquisition. The first seven days after install are the most critical for retention: users install several apps to try them, and decide in the first few days which ones they want to keep using. If you can retain for that time span, your app is more likely to become part of the user’s daily routine. There are some simple ways to progressively build user engagement. It’s important to present a strong story that explains why that app is relevant to the user, while introducing them to key features. Then place features that offer the user value early, so they can be found without much effort. This is a not a one-size-fit-all. To find the right solution, a developer needs to first make assumptions on what user flows can improve retention and then run A/B tests to validate or correct them. For example, a developer could think that introducing sign-in later in the user flow might improve retention. Also, the developer needs to keep in mind what the key long term engagement metrics are for the individual app (such as photos uploaded or the number of articles read) and measure the impact of the different onboarding flows on those metrics as well. Look for ways to let the users experience the app straight away, rather than taking them through a long, complex setup. Start by requiring minimal investment by the user, then ask them for more details as they are needed to use the apps features. Treat permissions as a service for the user. For example, if you want users to register, show them in advance that, by making their experience more personal, they’ll get more value from the app. In this example, OkCupid tried different onboarding flows and found the most engaging version increased seven-day retention by over 20 percent. Finally, ensure the user can understand the value of your app before you start asking them to pay. Game developers are particularly good at letting their users try most or all product features for free in in a set number of days or sessions. A great tool to help analyze how users are engaging (or not) with the app is through the Flow Report in Google Analytics. Using this report, a developer can see how users navigate through the app and where they leave to identify potential roadblocks. Understanding different groups of users in-app purchase behavior is the key to devising strategies to encourage them to spend. Start by identifying groups of users by how they spend and much they are likely to spend. It may be by age group, the channel that brought the install, or in-app behaviour. Use the Segment builder in Google Analytics to identify and define these groups of users. 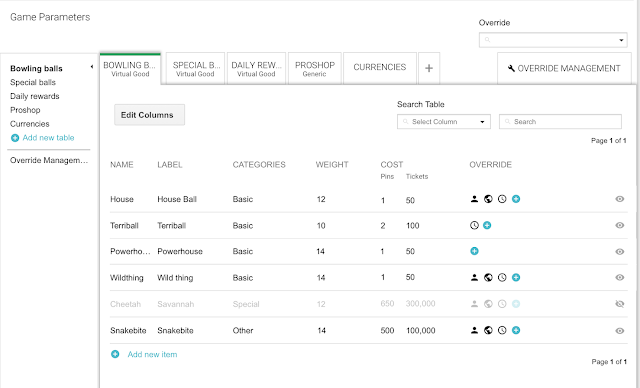 Then, tailor in-app purchase offers to match the segments spending behavior. For example, for segments where multiple users tend to spend more in one go, but spend infrequently, offer them in-app features bundled together. Present purchase opportunities to users when they’re most likely to need or want it — and explain to the user why it’s relevant. Make purchasing accessible easily from within the app with a minimum number of taps. For example, offer an upgrade button on the footer of relevant screens. TomTom added a countdown to indicate when the free service runs out (counted in kilometers travelled). The counter includes a button to upgrade offering a one tap in-app purchase. Like all good game developers, they focus on building good experiences that retain and engage users through constant testing and analytics. First impressions are important, so users need to be able to quickly understand the importance of the app and easily navigate through the onboarding experience. And to start generating revenue, it is important to be thoughtful about how to make in-app purchases actionable. You can also watch the other sessions from Google Playtime 2015 to learn more about tools and best practices which can help you find success with business on Google Play. Launched last March, Player Analytics is already becoming an important tool for many game developers, helping them to manage their games businesses and optimize in-game player behavior. Today we’re expanding Player Analytics with two new analytics reports that give you better visibility into time-based player activity and custom game events. We’re also introducing a new Player Stats API to let you tune your game experience for specific segments of players across the game lifecycle. 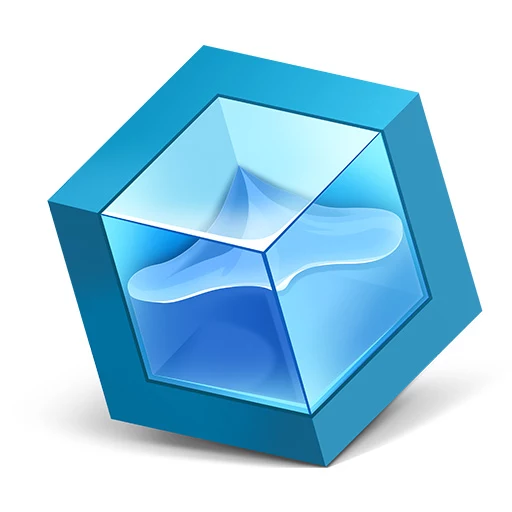 Along with those, we’re rolling out a new version of our C++/iOS SDKs and Unity plug-in and giving you better tools to manage repeating Quests. 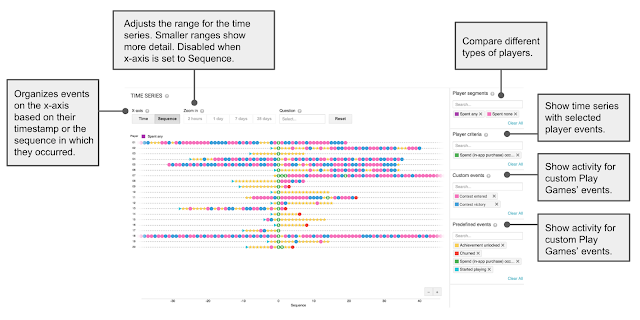 We are launching two new reports later this week in the Play Games developer console: the Player Time Series Explorer and the Events Viewer. We’ve also made improvements to our player retention report. Ever wondered what your players are doing in the first few minutes of gameplay? What happens just before players spend or churn? The time-series explorer lets you understand what happens in these critical moments for your players. For example, you carefully built out the first set of experiences in your game, but are surprised by how many players never get through even the first set of challenges. 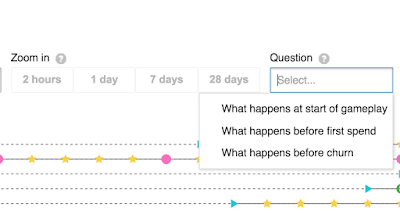 With the Player Time Series Explorer, you can now see which challenges are impeding player progress most, and make targeted improvements to decrease the rate of churn. Learn more. Select “What happens before first spend” to see what happens just before your players spend for the first time. Time series are aligned by first spend event so you can easily explore what happened just before and after first purchase. 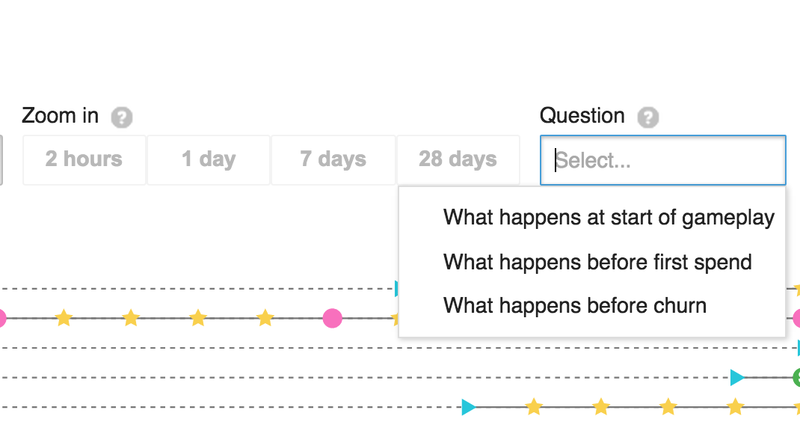 Select “What happens before churn” to see what happens before your players stop playing. In the example below, all the churn events are right aligned to make it easier to compare player time series. You can see more details for all event types by holding your cursor over the event’s shape. In this example, you can see that “Player 03” spent $4.99 after earning six achievements. Hovering over the achievement shapes will show you which specific achievements were earned. Now you can create your own reports based on your custom Play Games’ events. You can select multiple events to display and bookmark the report for easy access. Learn more. Here’s an example showing how a developer can compare the rates at which Players are entering contests, winning, and almost winning. This report would identify opportunities to improve the balance of its contest modes. You can then bookmark the settings so you can easily track improvements. 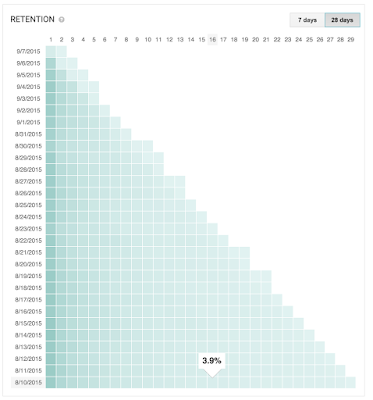 We added a 28-day-by-28-day retention grid to help you compare retention rates across a larger number of new user cohorts. Stats and reports give you insights into your what your players are doing, but wouldn’t it be nice to take action on those insights in your game? That’s what the Player Stats API is all about. The Player Stats API lets you tailor player experiences to specific segments of players across the game lifecycle. 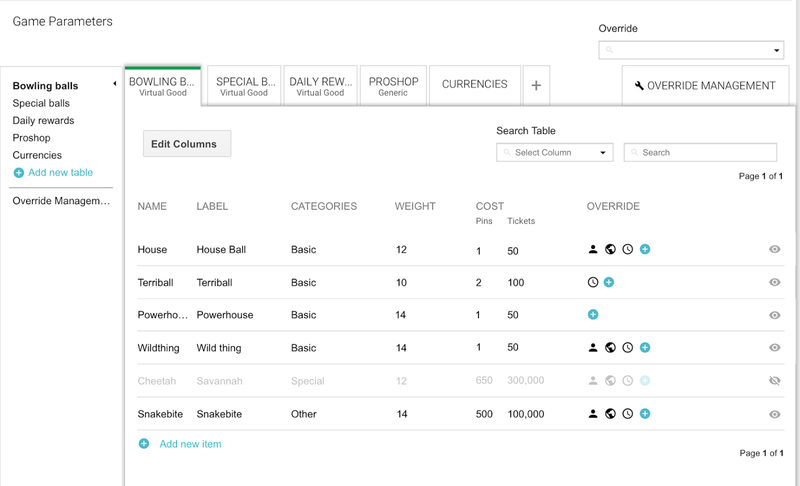 Player segments are based on player progression, spend, and engagement. The Player Stats API is launching in the next few weeks. iOS support for Play game services just got a lot better. This update includes improved CocoaPods support, which will make it easier to configure Play game services in Xcode. This also means you’ll have a much easier time building for iOS using the Unity plug-in as well. The latest build of the C++/iOS SDKs is now built on the new Google Sign-In framework, which adds support for authentication via multiple Google apps, including Gmail and YouTube. More importantly, if a player does not have any applicable Google apps installed, the Sign-In framework will bring up a webview within the app for authentication. Opening up a webview inside the app, instead of switching to a separate browser instance, makes for a much better user experience, and addresses a top developer request. For more on the new Google Sign-in library on iOS, check out this video. Learn more. Quests are a great way of engaging your players with new goals, and with this update we have made managing Quests easier with the introduction of repeating Quests. You can create Quests that run weekly or monthly by checking the repeating quest box. This will make it easier for you to engage your players with regularly occurring challenges. Repeating Quests will be launching in the next few weeks. If you have previously integrated Quests, you can easily convert them into repeating quests by following two easy steps. 2. Scroll down to the Schedule section of the Quest form, check the “Repeating quest” box, select between monthly and weekly quests under “Repeats”, and leave the “Ends:” field set to “Never”. After hitting save, you are done! From then on, the quest will run weekly or monthly until you decide to end it. Editor’s note: A few weeks ago we shared some tips from game developer, Seriously, on how they’ve been using notifications successfully to drive ongoing engagement. This week, we’re sharing tips from Christian Calderon at US game developer, Dots, on how to successfully optimize your Play Store Listing. -Ed. A well thought-out Google Play store listing can significantly improve the discoverability of your app or game and drive installations. With the recent launch of Store Listing Experiments on the Google Play Developer Console, you can now conduct A/B tests on the text and graphics of your store listing page and use the data to make more informed decisions. 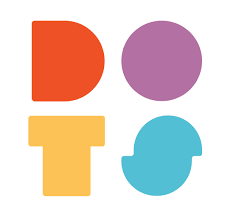 Dots is a US-founded game developer which released the popular game, Dots, and its addictive sequel, TwoDots. Dots used its store listings to showcase its brands and improve conversions by letting players know what to expect. Christian Calderon, Head of Marketing for Dots, shared his top tips with us on store listings and visibility on Google Play. Do be creative and unique with the icon. Try to visually convince the user that your product is interesting and in alignment with what they are looking for. Don’t spam keywords in your app title. Keep the title short, original and thoughtful and keep your brand in mind when representing your product offering. Do remember to quickly respond to reviews and implement a scalable strategy to incorporate feedback into your product offering. App ratings are important social proof that your product is well liked. Don’t overload the ‘short description’. Keep it concise. It should be used as a call-to-action to address your product’s core value proposition and invite the user to install the application. Remember to consider SEO best practices. Do invest in a strong overall paid and organic acquisition strategy. More downloads will make your product seem more credible to users, increasing the likeliness that a user will install your app. Don’t overuse text in your screenshots. They should create a visual narrative for what’s in your game and help users visualize your product offering, using localization where possible. Do link your Google Play store listing to your website, social media accounts, press releases and any of your consumer-facing channels that may drive organic visibility to your target market. This can impact your search positioning. Don’t have a negative, too short or confusing message in your “What’s New” copy. Let users know what updates, product changes or bug fixes have been implemented in new versions. Keep your copy buoyant, informative, concise and clear. Do use Video Visualization to narrate the core value proposition. For TwoDots, our highest converting videos consist of gameplay, showcasing features and events within the game that let the player know exactly what to expect. Don’t flood the user with information in the page description. Keep the body of the page description organized and concise and test different structural patterns that works best for you and your product! As part of the 100 Days of Google Dev video series, Kobi Glick from the Google Play team explains how to test different graphics and text on your app or game’s Play Store listing to increase conversions using the new Store Listing Experiments feature in the Developer Console. Find out more about using Store Listing Experiments to turn more of your visits into installs. In order to make the best possible games, Wooga works on roughly 40 concepts and prototypes per year, out of which 10 go into production, around seven soft launch, and only two make it to global launch. It’s what they call “the hit filter." For their latest title, Agent Alice, they follow up with new episodes every week to maintain player interest and engagement over time. The ability to quickly iterate both live and under development games is therefore key to Wooga’s business model — Android and Google Play provide them the tools they need and mean that new features and updates are made on Android first, before they get to other platforms. Find out more from Sebastian Kriese, Head of Partnerships, and Pal Tamas Feher, Head of Engineering, and learn how the iteration features of Android and Google Play have contributed to successes such as Diamond Dash, Jelly Splash, and Agent Alice. Developers connecting the world through Google Play - Hear how the new mobile ecosystem including Google Play and Android are empowering developers to make good on the dream of connecting the world through technology to improve people's lives. This session will be live streamed. Growing games with Google — In addition to consoles, PC, and browser gaming, as well as phone and tablet games, there are emerging fields including virtual reality and mobile games in the living room. This talk covers how Google is helping developers across this broad range of platforms. This session will be live streamed. What’s new in the Google Play Developer Console - Google Play’s new launches will help you acquire more users and improve the quality of your app. Hear an overview of the latest features and how you can start taking advantage of them in the Developer Console. Smarter approaches to app testing — Hear about the new ways Google can help maximize the success of your next app launch with cheaper and easier testing strategies. A few weeks ago at the Game Developers Conference (GDC), we announced Play Games Player Analytics, a new set of free reports to help you manage your games business and understand in-game player behavior. Today, we’re excited to make these new tools available to you in the Google Play Developer Console. With Player Analytics, we wanted to make these capabilities available to the entire developer ecosystem on Google Play in a frictionless, easy-to-use way, freeing up your precious time to create great gaming experiences. 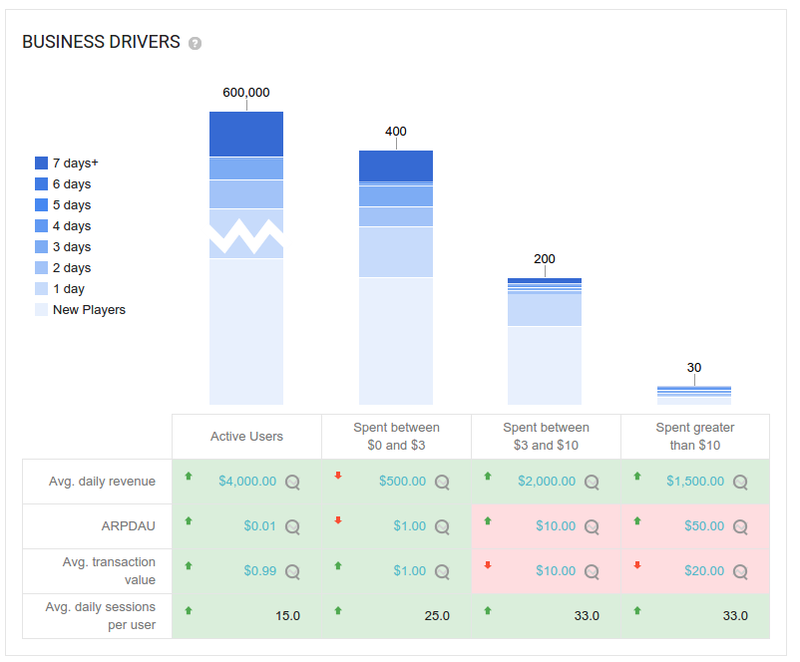 Small studios, including the makers of Zombie Highway 2 and Bombsquad, have already started to see the benefits and impact of Player Analytics on their business. Further, if you integrate with Google Play game services, you get this set of analytics with no incremental effort. But, for a little extra work, you can also unlock another set of high impact reports by integrating Google Play game services Events, starting with the Sources and Sinks report, a report to help you balance your in-game economy. If you already have a game integrated with Google Play game services, go check out the new reports in the Google Play Developer Console today. For everyone else, enabling Player Analytics is as simple as adding a handful of lines of code to your game to integrate Google Play game services. 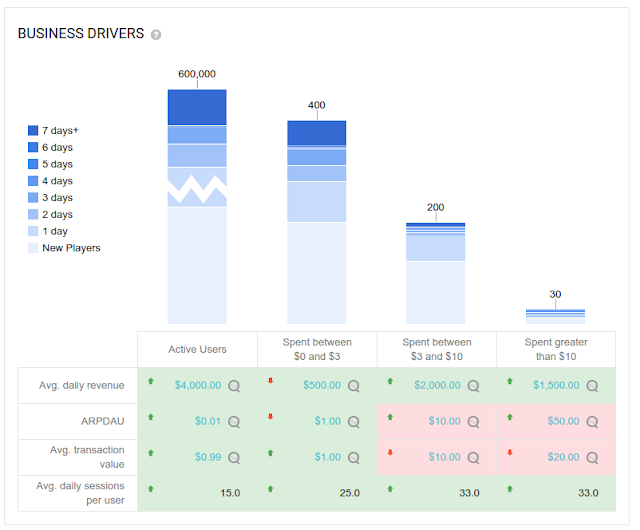 To help assess the health of your games business, Player Analytics enables you to select a daily in-app purchase revenue target and then assess how you're doing against that goal through the Target vs Actual report depicted below. Learn more. Ever wonder how your game’s performance stacks up against other games? Player Analytics tells you exactly how well you are doing compared to similar games in your category. Metrics highlighted in red are below the benchmark. Arrows indicate whether a metric is trending up or down, and any cell with the icon can be clicked to see more details about the underlying drivers of the change. Learn more. In the Retention report, you can see the percentage of players that continued to play your game on the following seven days after installing your game. 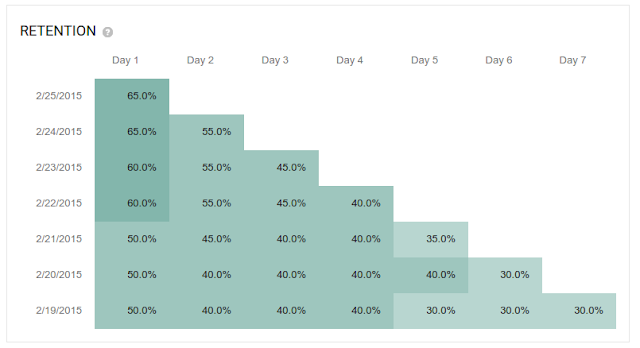 Measured by the number of achievements players have earned, the Player Progression funnel helps you identify where your players are struggling and churning to help you refine your game and, ultimately, improve retention. Add more achievements to make progression tracking more precise. The Sources and Sinks report helps you balance your in-game economy by showing the relationship between how quickly players are earning or buying and using resources. For example, Eric Froemling, one man developer of BombSquad, used the Sources & Sinks report to help balance the rate at which players earned and spent tickets. 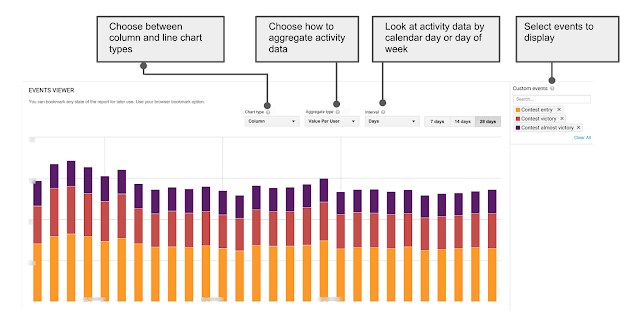 Read more about Eric’s experience with Player Analytics in his recent blog post. To enable the Sources and Sinks report you will need to create and integrate Play game services Events that track sources of premium currency (e.g., gold coins earned), and sinks of premium currency (e.g., gold coins spent to buy in-app items). 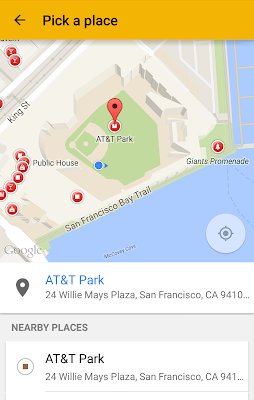 Google Play services 7.0 - Places Everyone! Today, we’re bringing you new tools to build better apps with the completion of the rollout of Google Play services 7.0. 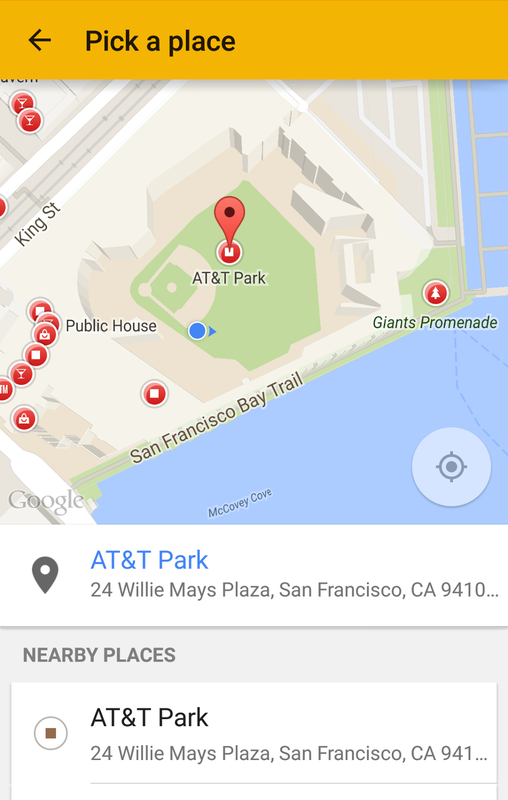 With this release, we’re delivering improvements to location settings experiences, a brand new API for place information, new fitness data, Google Play Games, and more. While the FusedLocationProviderApi combines multiple sensors to give you the optimal location, the accuracy of the location your app receives still depends greatly on what settings are enabled on the device (e.g. GPS, wifi, airplane mode, etc). 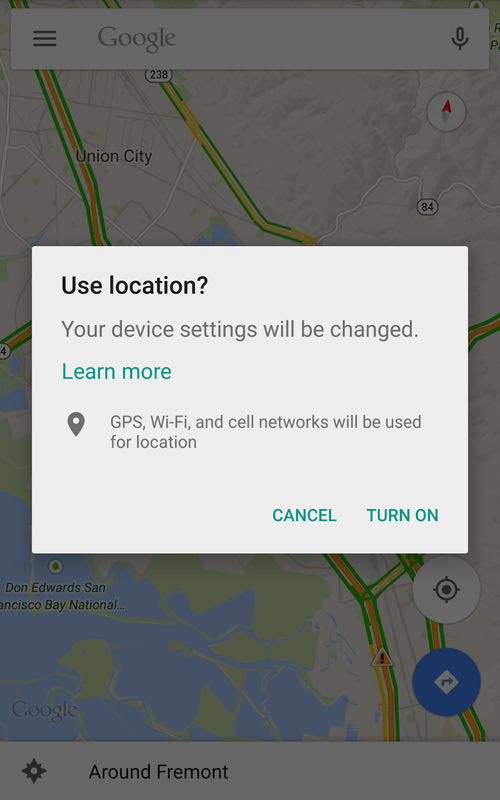 In Google Play services 7.0, we’re introducing a standard mechanism to check that the necessary location settings are enabled for a given LocationRequest to succeed. If there are possible improvements, you can display a one touch control for the user to change their settings without leaving your app. 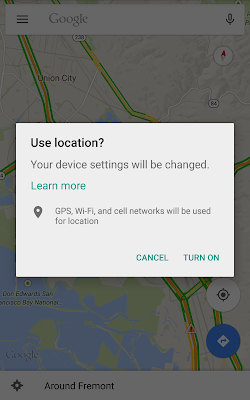 This API provides a great opportunity to make for a much better user experience, particularly if location information is critical to the user experience of your app such as was the case with Google Maps when they integrated the Location Settings dialog and saw a dramatic increase in the number of users in a good location state. Location can be so much more than a latitude and longitude: the new Places API makes it easy to get details from Google’s database of places and businesses. The built-in place picker makes it easy for the user to pick their current place and provides all the relevant place details including name, address, phone number, website, and more. If you prefer to provide your own UI, the getCurrentPlace() API returns places directly around the user’s current location. Autocomplete predictions are also provided to allow a low latency search experience directly within your app. You can also manually add places with the addPlace() API and report that the user is at a particular place, ensuring that even the most explorative users can input and share their favorite new places. The Places API will also be available cross-platform: in a few days, you’ll be able to apply for the Places API for iOS beta program to ensure a great and consistent user experience across mobile platforms. Google Fit makes building fitness apps easier with fitness specific APIs on retrieving sensor data like current location and speed, collecting and storing activity data in Google Fit’s open platform, and automatically aggregating that data into a single view of the user’s fitness data. 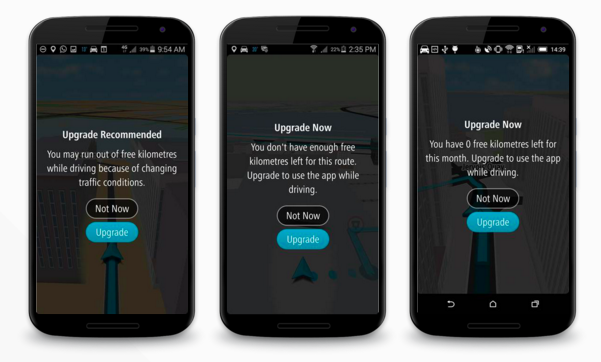 This change significantly reduces the memory requirement for Google Fit enabled apps running in the background. Like always, apps built on previous versions of Google Play services will continue to work, but we strongly suggest you rebuild your Google Fit enabled apps to take advantage of this change. Having all the data can be an empowering part of making meaningful changes and Google Fit is augmenting their existing data types with the addition of body fat percentage and sleep data. Announced at Game Developers Conference (GDC), we’re offering new tools to supercharge your games on Google Play. 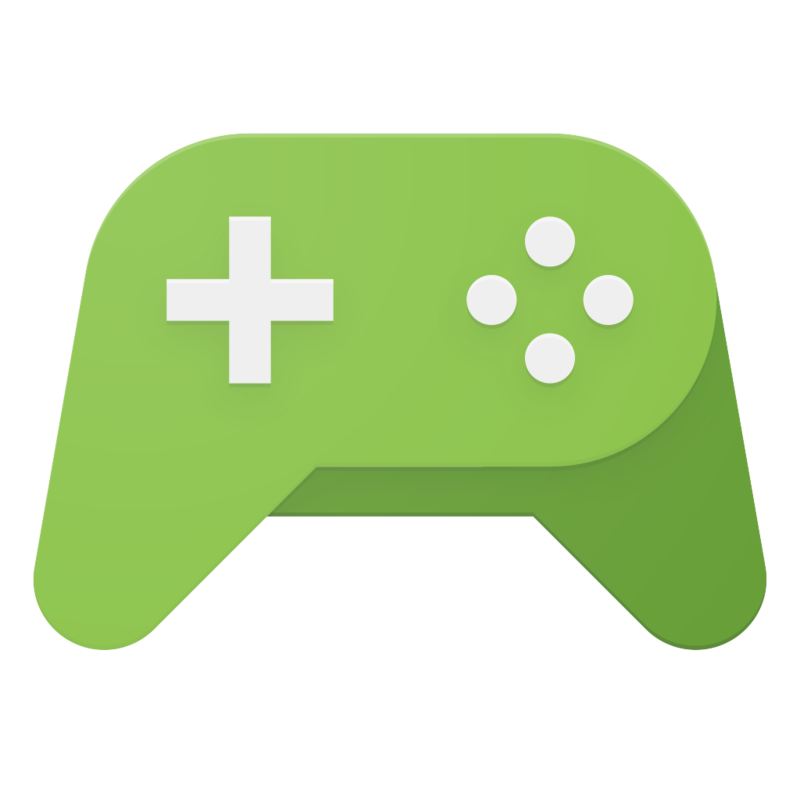 Included in Google Play services 7.0 is the Nearby Connections API, allowing games to seamlessly connect smartphones and tablets as second-screen controls to the game running on your TV. App Indexing lets Google index apps just like websites, enabling Google search results to deep-link directly into your native app. We've simplified the App Indexing API to make this integration even easier for you by combining the existing view()/viewEnd() and action()/end() flows into a single start() and end() API. GoogleApiClient serves as the common entry point for accessing Google APIs. For this release, we’ve made retrieval of Google OAuth 2.0 tokens part of GoogleApiClient, making it much easier to request server auth codes to access Google APIs. You can get started developing today by downloading the Google Play services SDK from the Android SDK Manager. To learn more about Google Play services and the APIs available to you through it, visit the Google Services section on the Android Developer site.